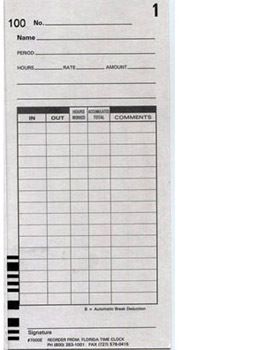 Lathem 7000e and 7500e time cards - 10 packs of 100. In Stock, Low Web Pricing. Ten packs of 100. 1,000 cards per order. Our ability to order in large quantities save you money. 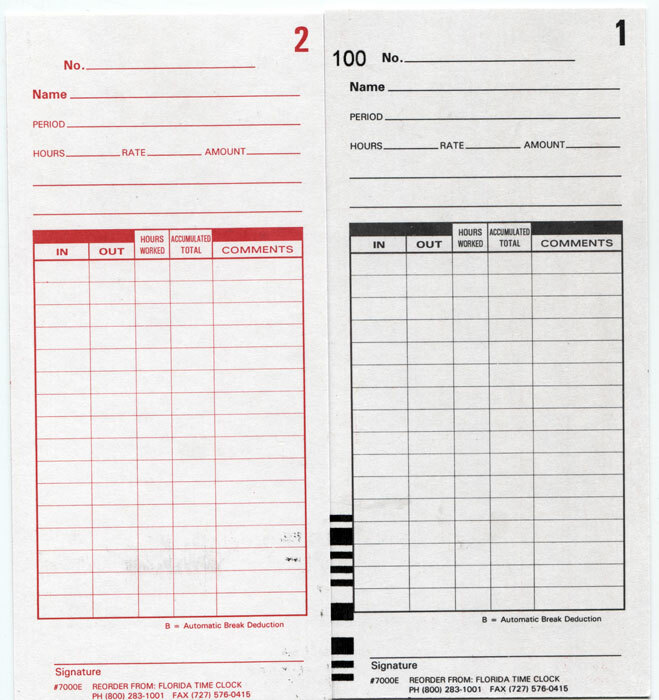 This a a two-sided time card. Side one is Black. Side two is Red.